Not all portable toilets are created equal. The portable toilet market has come a long way in recent years, meaning there are different types of toilets available for sale. Whatever the use, and wherever the location, there is a perfect portable toilet for any application. 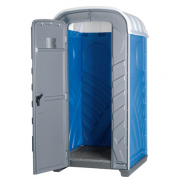 Whether you’re looking to buy a portable toilet or show cabin for your hire business, construction site, camp site or sports club, we’ve compiled ten of the most common types available. 1. 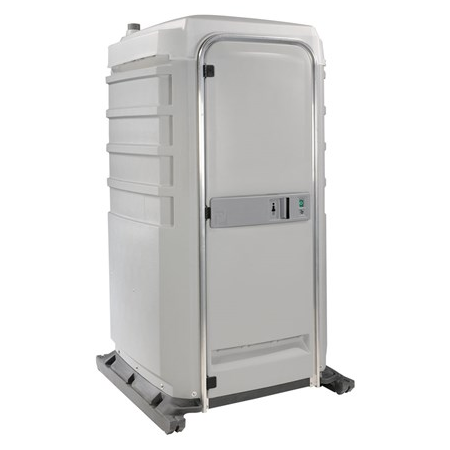 Recirculating chemical portable toilets Quickly becoming the top choice for any event, the recirculating chemical portable toilet includes a flush mechanism to keep the unit clean and reduce odours. These function in a way that is similar to aeroplane lavatories. After use, the toilet is flushed, either through a foot pump or handle pump. This circulates the chemicals in the toilet while dropping waste into the tank. The tank itself is kept closed off during use, which also helps limit bad odours for users. These portable toilets can be fitted with hand sanitiser dispensers, hot water basins, or cold water basins. This allows for an all in one solution for users. 2. Mains connected portable toilets These toilets are a popular choice for work sites where there is existing mains sanitation. Rather than gathering waste in a tank, this type of portable toilet flushes waste directly into the sewage system. Mains connected portable toilets offer many of the same functionality of a permanent toilet, and are easy to install. They can be fitted with either cold water or hot water basins, making it possible for users to have the full level of cleanliness they want. 3. 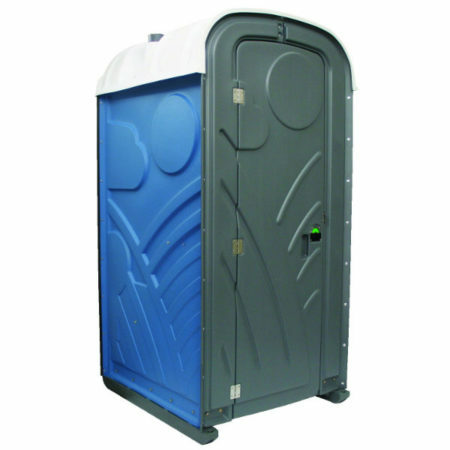 Self servicing portable toilets This is the classic style of portable toilet, and is ideal for situations where outside servicing is going to be difficult. 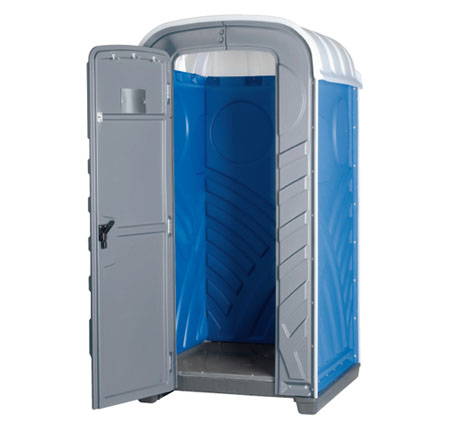 These units combine the simplicity of a portable cassette toilet with the privacy of a portable toilet unit. These function by having a removable cassette toilet that flushes waste into a tank. When full, this tank is removed from the unit and the waste emptied at a drain or other waste disposal site. The basic nature of this type of toilet makes it inexpensive to use and easy to maintain without any additional servicing. 4. 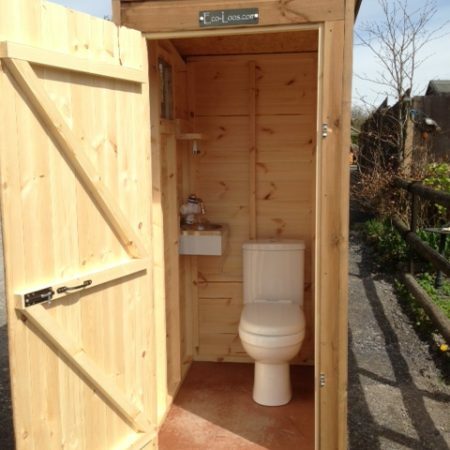 Compost toilets This eco friendly alternative to traditional portable toilets is gaining in popularity. The ability to use it for a longer period of time also makes it a popular choice for allotments and campsites, as well as backyard installation. 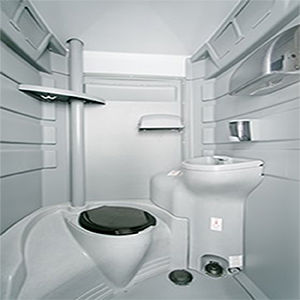 The composting portable toilet makes use of a waterless system. The toilet separates solid and liquid waste, and a scoop of composting sawdust further completes the flushing process. The waste container holds this composting material until ready to be emptied into a larger composting bin. 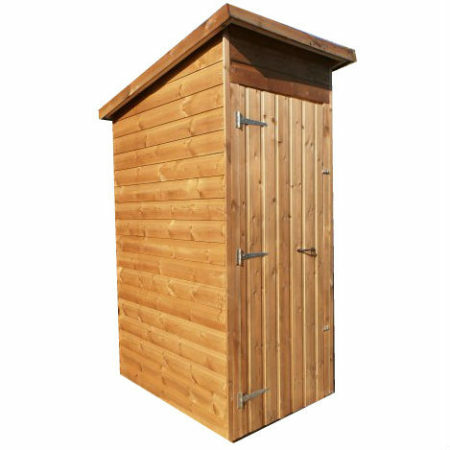 These toilets offer a low odour, very environmentally friendly option for any location. 5. 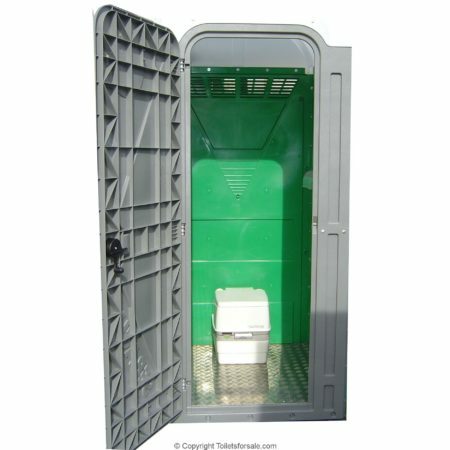 Luxury chemical portable toilets For the best portable toilet experience, the luxury chemical portable toilet is the only solution. The High Tech II toilet is the perfect choice for VIP areas, family events, and other situations where you want to offer a comfortable toilet for guests. It features a flushable stainless steel toilet with large tank. The fresh water flushing system and metal bowl give users an experience that is similar to using an indoor toilet. The large capacity tank means there is enough room for even high traffic events, with odours kept to a minimum. These units also benefit from a variety of extra features. A solar powered light, mirror, and shelf unit give users an added comfort, particularly at evening events. The use of solar power means that there is no need to use a generator or mains electricity to provide lighting in the units. They also have a hand wash basin with a foot pump. This provides clean water in a sanitary way, making it a perfect choice for those who might be uncomfortable touching elements of a portable toilet unit. The wall mounted waste bin further adds to the unit’s convenience, while also keeping hand towels and other waste out of the toilet’s tank. 6. 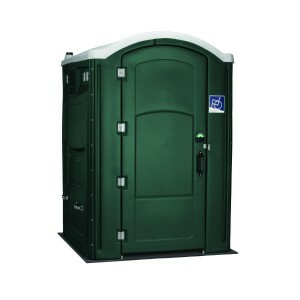 Accessible portable toilets These portable toilets are fitted with a larger door and have more interior space. This makes them a necessity for many public events, where you will need to provide accessible toilets. However, they are also good for private events where your guests may want a bit more space. This is an ideal choice for family events, as they can be more comfortable for elderly guests, and for parents who need to accompany their young children into the toilet. 7. Portable toilet cabins These portable toilets give the feeling of a larger public convenience. 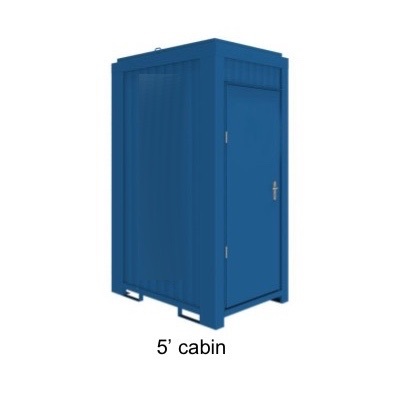 These are portable toilets that fill a portable cabin, with huge variety available in actual floor plan layouts. 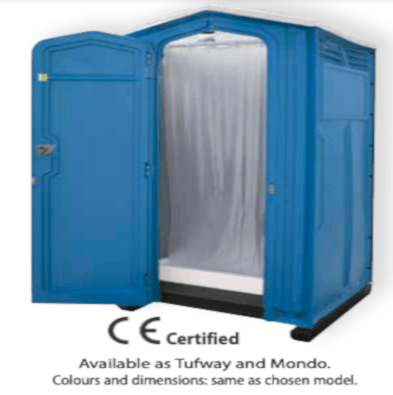 These portable toilet cabins are an ideal choice for longer term use, such as at a venue with multiple events over a season. 8. Portable urinals For big events, a portable urinal can be a way of making the overall portable toilets serve more people. Urinal only units can mean less queuing and cleaner facilities for other portable toilets. These units come in a variety of styles, including simple stand units without doors and screens between several urinal areas. 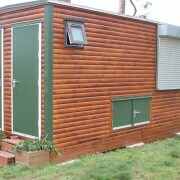 Luxury portable urinals can be included in a toilet block or cabin. 9. Baby change portable toilets For family events, whether private or public, a baby change portable toilet can be a welcome sight for parents of babies. These portable toilets generally use the accessible toilets as their base model, adding in a drop down changing table for family use. This gives the larger space and the extra facilities needed for changing a baby. 10. 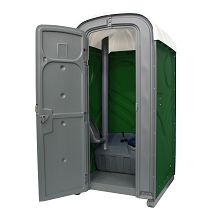 Long drop portable toilets This type of portable toilet is perfect for big events. The portable toilets are connected to a large underground tank. When flushed, the waste is taken down to this portable tank, removing the issues of waste buildup and the resulting odours. Used at the Glastonbury Festival, these are good for events with many people, but where mains connection is not possible. Whatever the event, and however many people are going to use it, if you’re looking for a chemical toilet for sale there is one that is right for your needs. While some are perfect for a single day’s use, others can be a long term solution where the addition of a toilet is needed, but plumbing is not available.